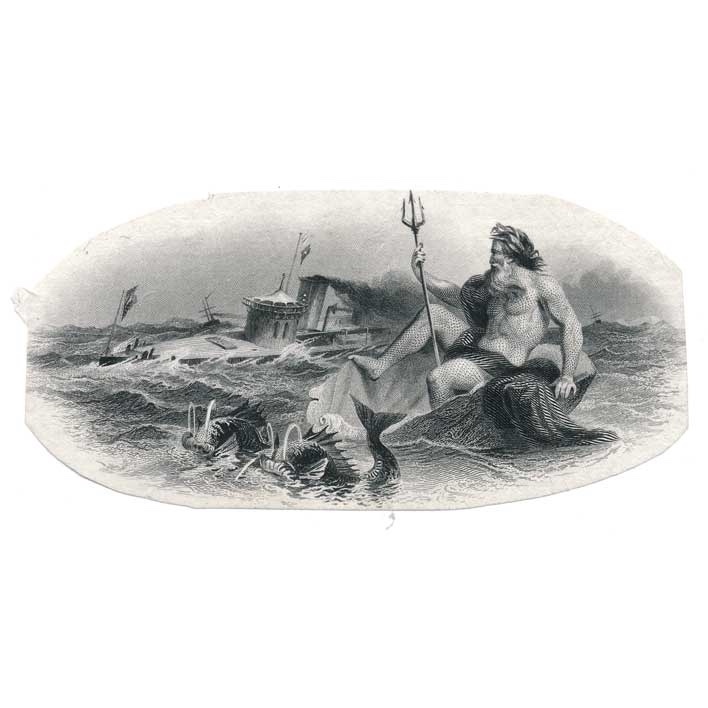 PaperMoneyForum > Categories > Souvenir Cards & Security Engravings > Neptune flips! Recently, I noticed an interesting vignette match on two different cards. 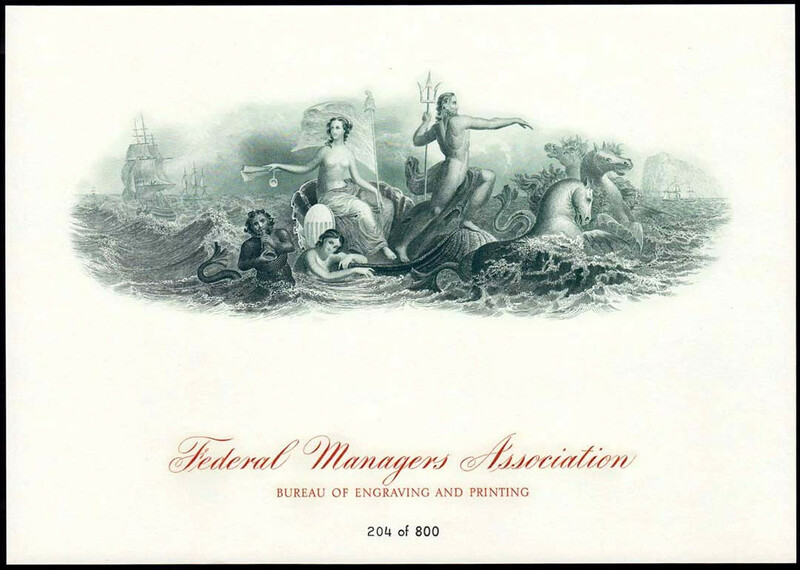 FM-11, the 2003 Federal Managers Assn. 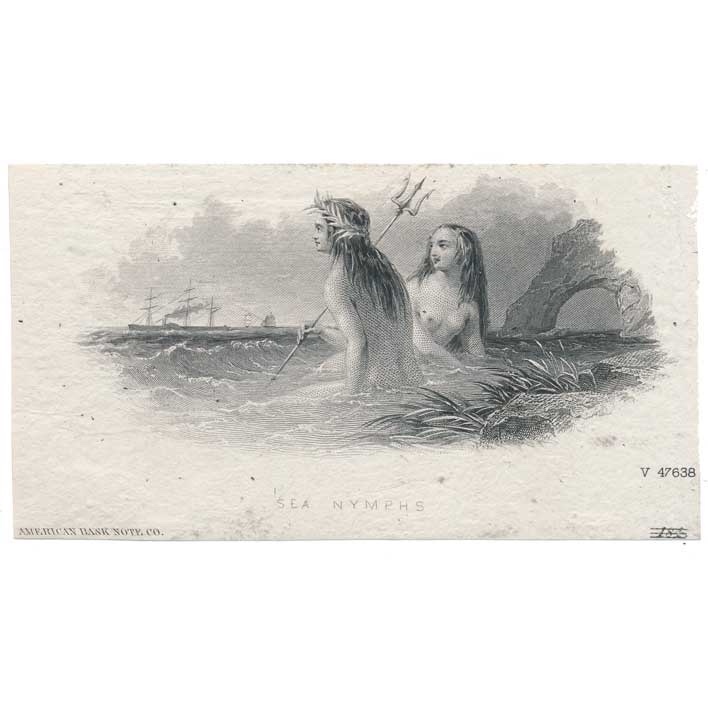 card, features a large, attractive scene of Neptune and his entourage coursing through the waves in a scallop shell chariot drawn by seahorses. All the FMA cards were done by BEP employees, so this plate is a Bureau engraving. 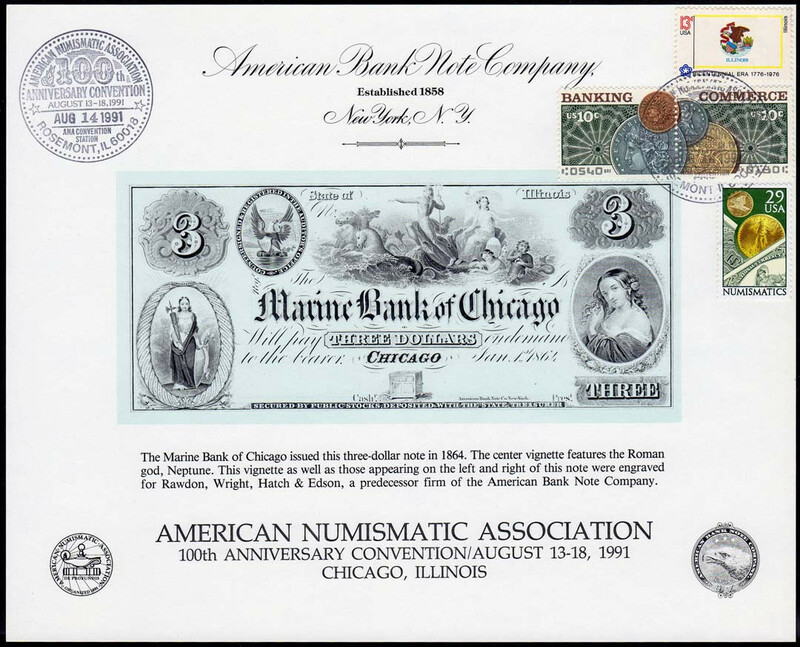 SO-76, the American Bank Note card for ANA 91 in Chicago, shows a $3 obsolete note that shares the same vignette, though smaller and facing the other direction. 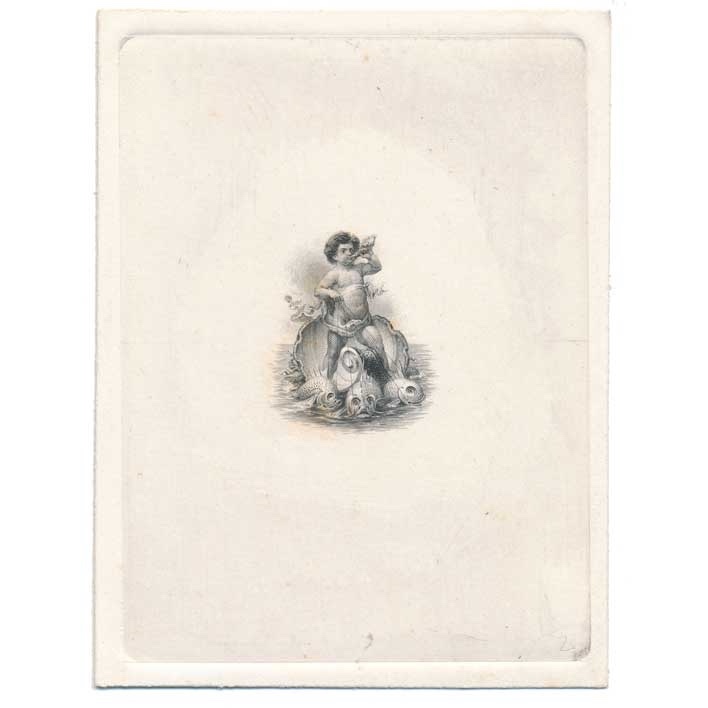 The card states that the scene was engraved by Rawdon, Wright, Hatch & Edson, meaning it was done between 1847 and 1858. That pre-dates the Bureau, so we can assume this was the first version. The vignettes are actually mirror images, so I'll flip the BEP version and reduce it for comparison. 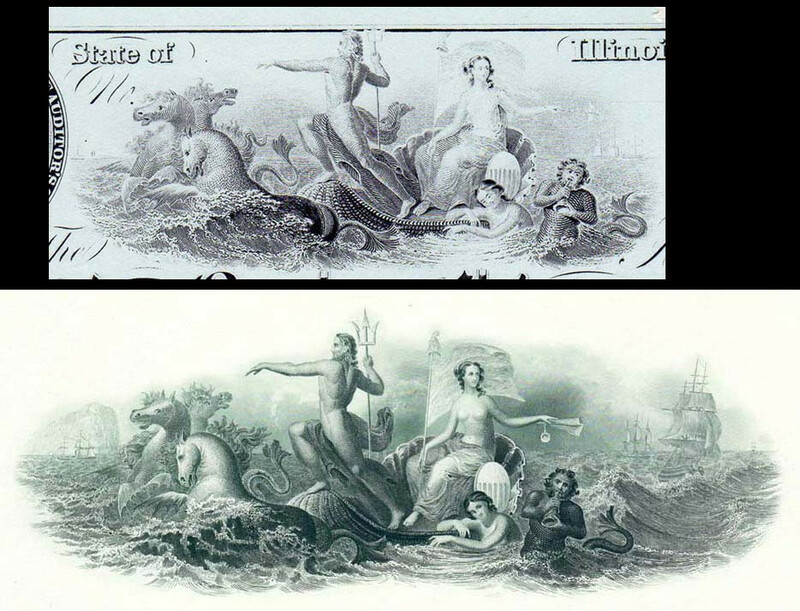 When you look at the waves and ships, it's obvious they are separate engravings, plus the Bureau vignette is wider. 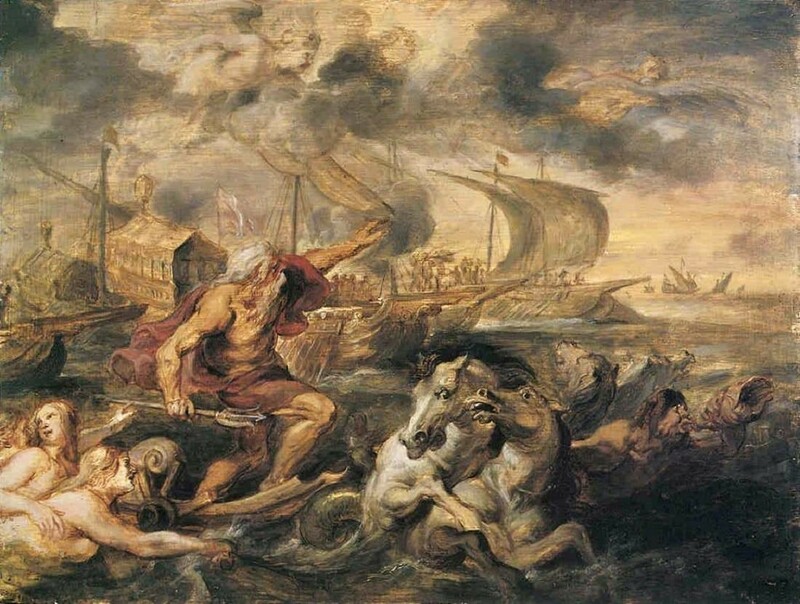 But they almost certainly used the same source, either a painting or drawing, as the model for engraving. Maybe one of our more knowledgeable members can identify the source. I finally figured out what that large FMA card vignette was used for. 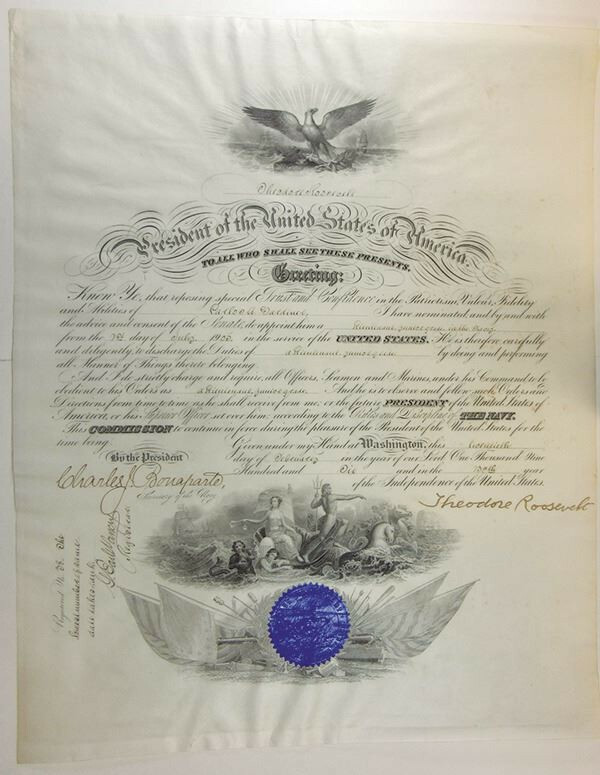 It appears at the bottom of a Navy commissioning certificate when high ranking officers were appointed. You don't see these very often and they often sell for upwards of $1000 if they have a popular presidential signature. 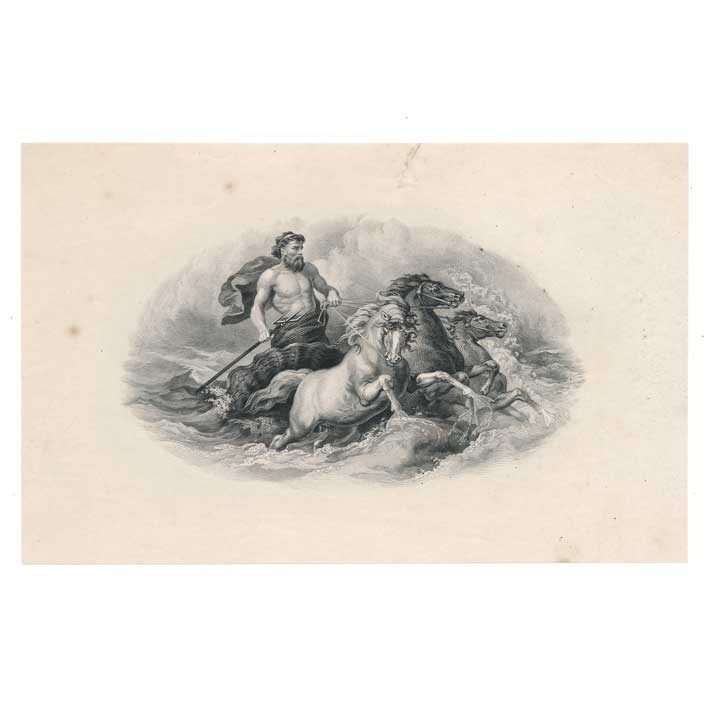 Nice description of interesting vignette..." features a large, attractive scene of Neptune and his entourage coursing through the waves in a scallop shell chariot drawn by seahorses " Excellent writing skills as usual and very cool card. 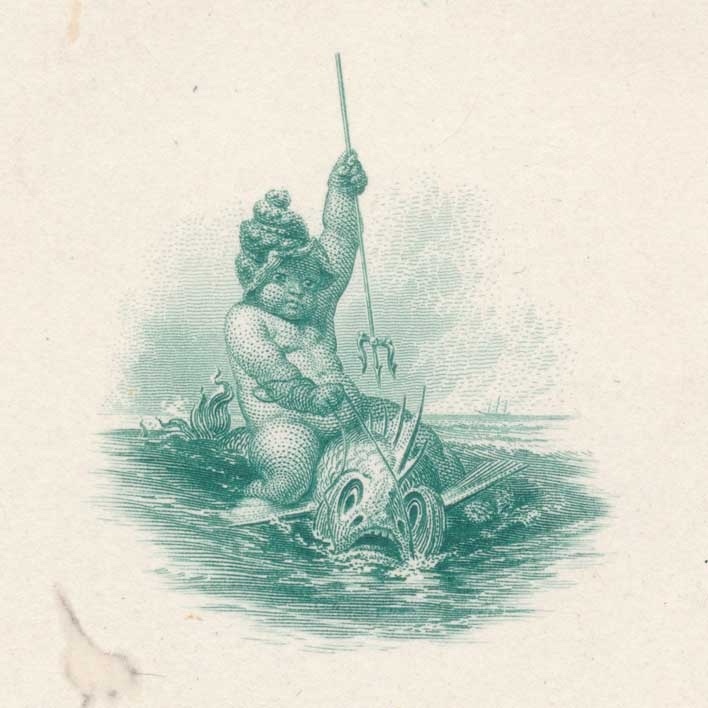 The gentleman with the horn is Triton -messenger of the sea. 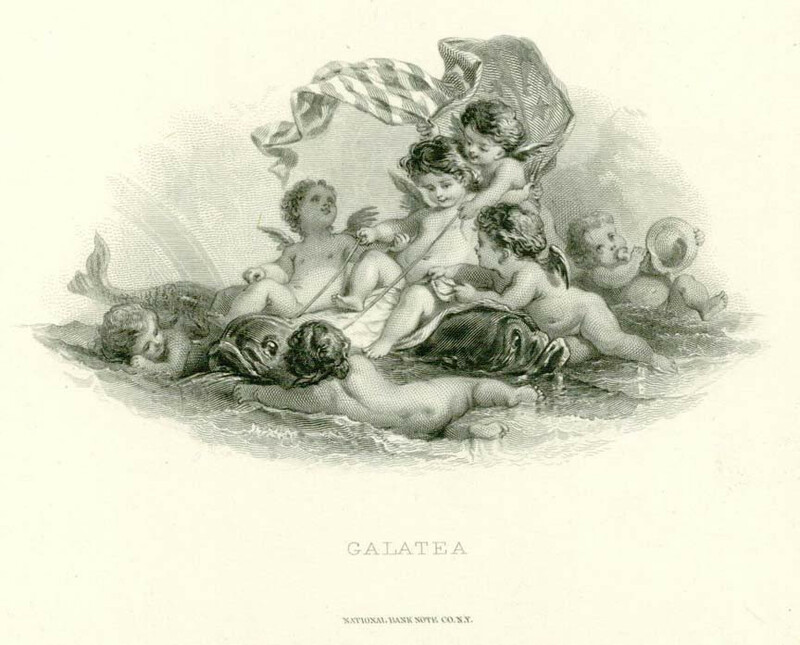 The banknote engraving really has the look of a banknote about it in the seated female holding a pole with the liberty cap on it. 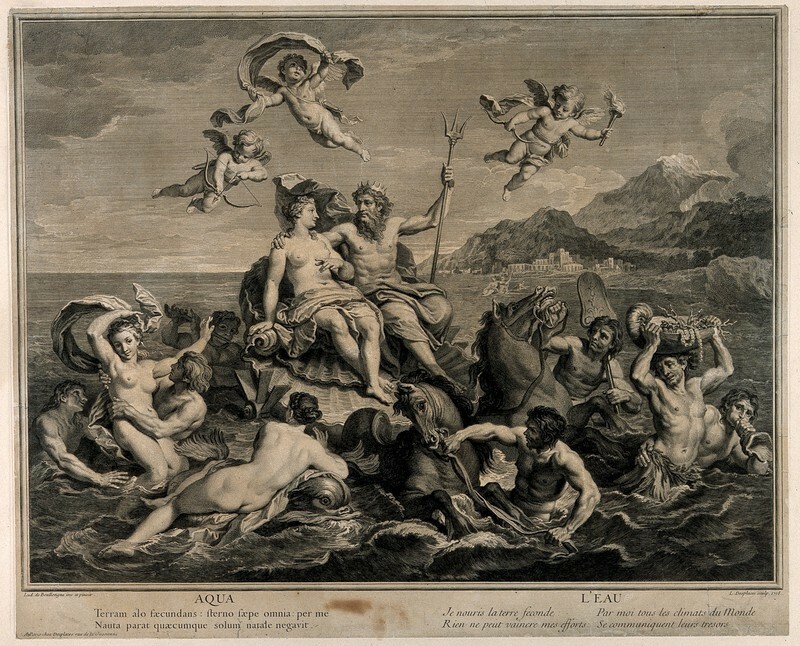 Nice..love the Neptune themed vignettes. I found another one. 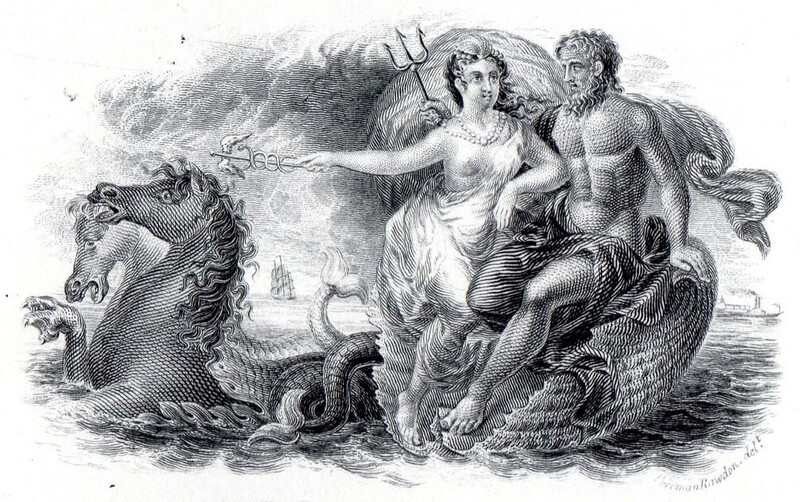 This was engraved by Freeman Rawdon, probably in the 1830s, so it would pre-date the others. The webbed seahorse hooves are a nice touch. Nice vignettes and good research all around. My first post here. 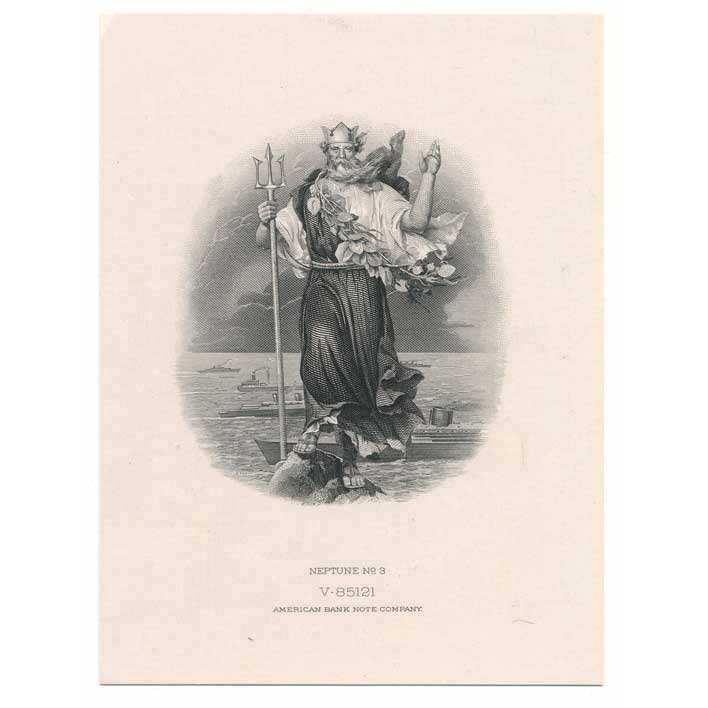 I found this forum because I recently bought a very large collection of proof materials, vignettes etc. Here are some of my favorites of this type. Welcome to the forum. Very nice vignettes. Keep posting and thanks for sharing. Southpaw, those mythical marine scenes are just wonderful! Here's one more from my collection on the same theme. 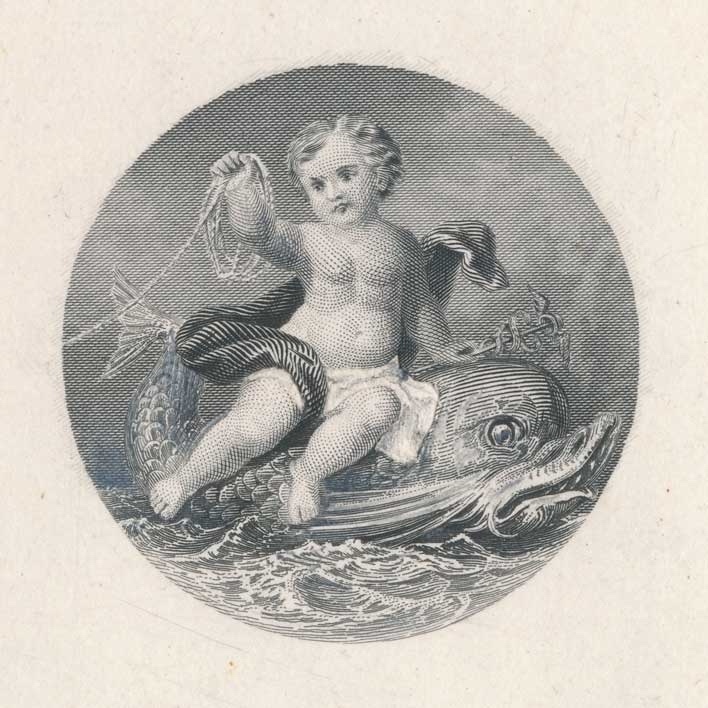 I would love to see some other engravings from your recent acquisitions, if you'd be willing to start a new topic on another theme. I might be able to add a few related vignettes myself. Hi Greg I’ll post them as I scan them. Probably by subject matter as that’s how I have them organized. As I get better familiar with them I’ll probably begin organizing them by engraver. The research is most fun.